A creative and dynamic hub for socialising in Balham, The Exhibit is a lively venue with a focus on providing a stimulating space for guests. It offers carefully curated food and drink along with an eclectic program of events of art, comedy and film at London’s smallest independent cinema. 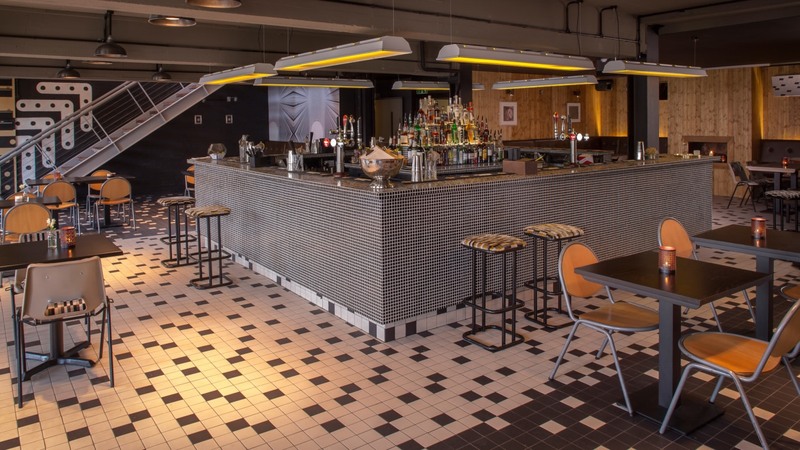 A number of our Pottery lights were supplied to hang in the main space, once installed in a large 1950s pottery in Stoke on Trent, they are used to good effect framing the main bar.